Biopolymers are attracting immense attention of late because of their diverse applications that can address growing environmental concerns and energy demands. The development of various biomaterials creates significant advancements in the medical field as well, and many biopolymers are used for the fabrication of biomaterials. Together, biopolymers and biomaterials create great potential for new materials, applications, and uses. 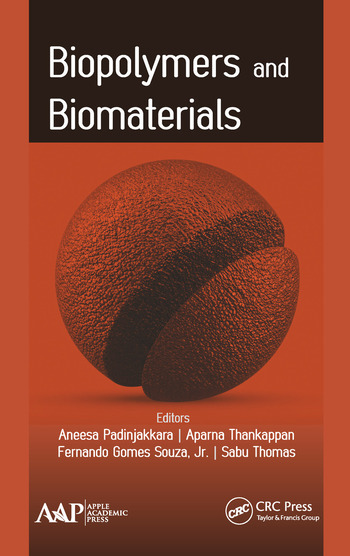 This new volume, Biopolymers and Biomaterials, covers the science and application of biopolymers and biomaterials. 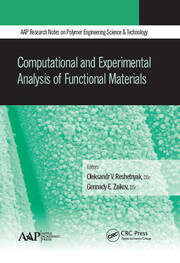 It presents an array of different studies on biopolymers and biomaterials, along with their results, interpretation, and the conclusions arrived at through investigations. It includes biopolymer synthesis, their characterizations, and their potential applications. 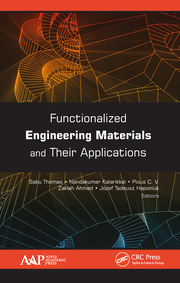 The book begins with an explanation of the different biopolymers used in the textile industry, their advantages and disadvantages, and their applications. Aneesa Padinjakkara is a Research Fellow at the International and Inter University Center for Nanoscience and Nanotechnology, Mahatma Gandhi University, Kottayam, India. She has presented several papers at conferences focusing on advanced materials and has participated in several workshops and seminars. Aparna Thankappan, PhD, is a Postdoctoral Research Fellow at the International and Inter University Center for Nanoscience and Nanotechnology, Mahatma Gandhi University, Kottayam, India. She has published over a dozen articles in professional journals and has presented at several conferences as well. She has co-authored several book chapters. She received her PhD in photonics from Cochin University of Science and Technology, India. Fernando Gomes Souza, Jr., PhD, is currently Professor at the Institute of Macromolecules Professor Eloisa Mano Federal University of Rio de Janeiro (IMA/UFRJ), in the Laboratory and Biopolymers, Sensors / LIPS Technology Center University City, Brazil. He is also Professor of the Civil Engineering Program of COPPE / UFRJ and a Young Scientist of the State of Rio de Janeiro (FAPERJ-2015). His expertise is mainly focused on the use of renewable resources and nanocomposites in sensors, drug delivery, and environmental recovery. mDr. Souza has coordinated 10 research projects with financial support from government-sponsoring agencies. He has published 88 scientific articles, with several accepted in press now, as well as two chemistry books in Portuguese and three biomaterials book chapters in English. He has presented almost 200 papers at conferences and scientific meetings and has translated several computer programs related to educational chemistry. Sabu Thomas, PhD, is a Professor of Polymer Science and Engineering at the School of Chemical Sciences and Director of the International and Inter University Centre for Nanoscience and Nanotechnology at Mahatma Gandhi University, Kottayam, Kerala, India. 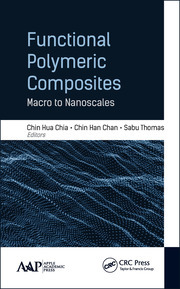 The research activities of Professor Thomas include surfaces and interfaces in multiphase polymer blend and composite systems; phase separation in polymer blends; compatibilization of immiscible polymer blends; thermoplastic elastomers; phase transitions in polymers; nanostructured polymer blends; macro-, micro- and nanocomposites; polymer rheology; recycling; reactive extrusion; processing–morphology–property relationships in multiphase polymer systems; double networking of elastomers; natural fibers and green composites; rubber vulcanization; interpenetrating polymer networks; diffusion and transport; and polymer scaffolds for tissue engineering. He has supervised 68 PhD theses, 40 MPhil theses, and 45 Masters thesis. He has three patents to his credit. He also received the coveted Sukumar Maithy Award for the best polymer researcher in the country for the year 2008. Very recently, Professor Thomas received the MRSI and CRSI medals for his excellent work. With over 600 publications to his credit and over 23683 citations, with an h-index of 75, Dr. Thomas has been ranked fifth in India as one of the most productive scientists.